'Big up' to all our sponsors for 2018 - we couldn't do it without you! ‘The Rum that invented rum’ Mount Gay is the oldest existing brand of rum in the world. A strong supporter of all things island, Mount Gay has been involved with The Bequia Music Fest since the early days of 2006 and became title sponsor in 2009. The perfect partner for music in the Caribbean, Mount Gay is the product of 310 years of knowledge, experience and refinement - we try to follow their lead in providing the same for the music fans here in Bequia. 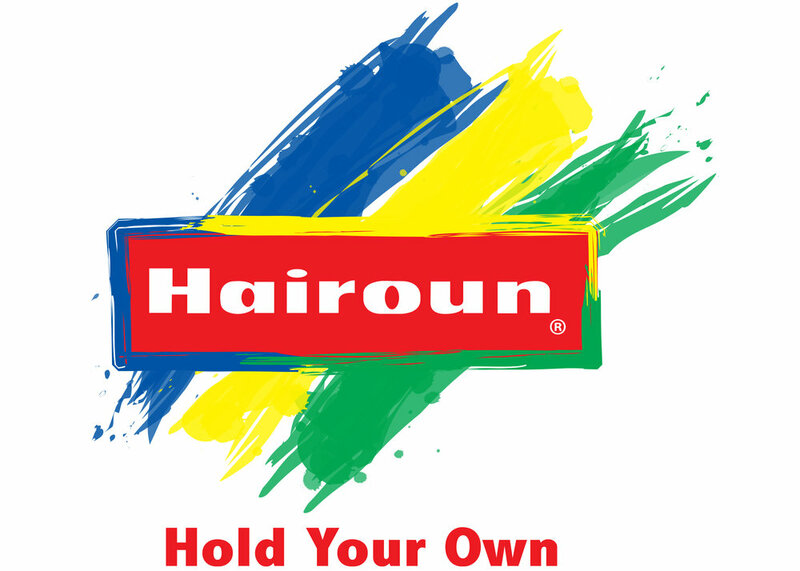 Hairoun lager brewed and sold since 1985 is the largest selling beer brand in St. Vincent & the Grenadines. As a matter of fact four out of every five beers sold in St. Vincent & the Grenadines is Hairoun! Hairoun means "Land of the Blessed" and was the name given to St. Vincent by the Carib inhabitants, making the brand truly indigenous. We all know Coca Cola. But did you know it was originaly intended as a patent medicine? It was invented in the late 19th century by John Pemberton and was bought out by businessman Asa Griggs Candler, whose marketing tactics led Coca-Cola to its dominance of the world soft-drink market. Go with the Flow - sending your messages and pictures from the festival couldn't be easier. We are happy to partner with Flow so that all our communications run smoothly. Flow is a full service communications and entertainment provider, operating in the Caribbean and Latin America, with both mobile and fixed networks, supported by submarine and terrestrial optical fibre backhaul capacity. We all know how important it is to recycle and reduce, and our innovative bottle design is doing both. The 100% recyclable half-liter bottle can be twisted down to half of its original size. That means an end to overflowing recycle bins and the beginning of a fun new way to remember to recycle your empty bottles. So Twist loud and proud because recycling your DASANI bottles helps create new backpacks, t-shirts, rugs, shoes and of course, more DASANI bottles. Bijou and undeniably beautiful. Set in eighteen acres of mango, guava and coconut trees, Bequia Plantation Hotel achieves that rare combination of intimacy and spaciousness. An environmentally sensitive boutique island property, the hotel’s spacious palm fringed beachside lawn provides a gorgeous venue for our Music Fest. BMI was founded in 1939 by forward-thinkers who wanted to represent songwriters in emerging musical genres, and protect the public performances of their music. Operating on a non-profit-making basis, BMI is now the largest music rights organization in the U.S. and is still nurturing new talent and new music. We are so pleased they are supporting us all here in the Caribbean to nurture and develop our music for the future. The St. Vincent and The Grenadines Tourism Authority (SVGTA) is the national agency entrusted with the responsibility of promoting the country as a tourist destination, developing standards and regulating the quality of the local tourism service providers. Its mission is to develop, coordinate and implement strategic and innovative marketing ventures driven by progressive market research, aimed at fostering a profitable and sustainable tourism industry, while seeking to provide rich visitor experiences far exceeding the internationally recognized minimum standards. Currently operating a Beechcraft King Air B200 aircraft the 9 seater cabin is fully pressurized making it one of the most comfortable rides. Enjoy a glass of champagne or scotch, or maybe just a glass of sparkling water, to quench your thirst. They want to serve you, and fulfill your flying needs. Going Places Travel is located in Antigua, Bahamas, Barbados, Bequia, Carriacou, Dominica, Grenada, St. Lucia, St. Vincent and USA. They have a global network of offices, that will ensure you as a traveller have full access to their company worldwide. They have been great at helping us get our artists to Bequia! Sitting on the shore of Lower Bay, De Reef is a popular spot to meet and enjoy food and drink while listening to the gentle lapping of the surf. It is a very popular Sunday afternoon spot all the year round. Outhouse Graphics is a creative agency based in Bequia. Founded in 1998, Outhouse Graphics offers photography, graphic design, layout, creative writing, PR and publishing, including the weekly "Bequia This Week", which has been published throughout the year in Bequia and on-line since January 2000. The company has also lent their support to a number of non profit organisations and events in Bequia over the years. Quik-Print (St Vincent) Ltd specializes in quick and affordable printing, scanning and photo-copying on a wide range of paper types and sizes with unbeatable quality. A new look in what televison should be and could be. IKtv is a fresh, young and modern experience they would like to share with their viewers. Channel 112. Looking for a luxury real estate brokerage in Bequia? Connect with their team of experienced agents at St. Vincent and the Grenadines Sotheby's International Realty. CRS Music & Media based in Barbados is one of the most established multi genre music labels in the world. With over 135 albums in it's catalog including Soca, Gospel. Jazz, Steel Pan & Caribbean Pop while affiliate record label Zion Roots music focuses on Reggae specifically.